With this product, you earn 2336 BIG TIME point(s). 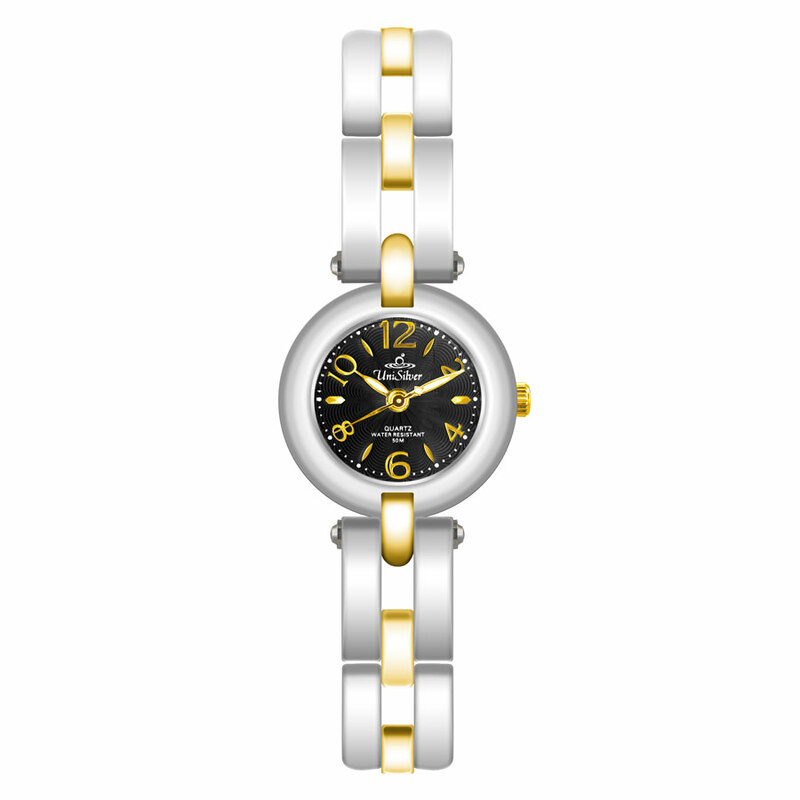 This dainty timepiece from the Florette Collection gleams with its beauty and polished finish. The circular and convex casing is emphasized by the bold chain bracelet. Within the casing lies a dial with an intricately engraved flower pattern. Let your elegance shine with this gorgeous timepiece.